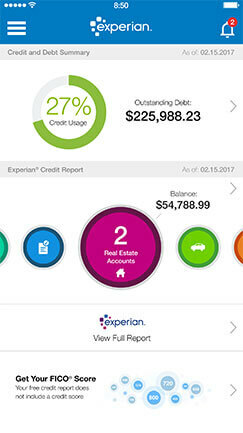 View your free Experian Credit Report anytime, anywhere on your iPhone or iPad. 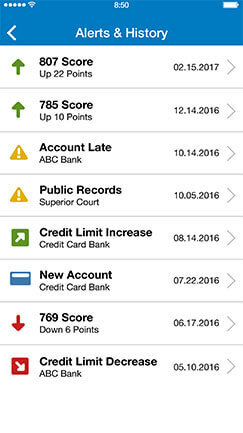 Monitor your Experian Credit Report directly from your device. 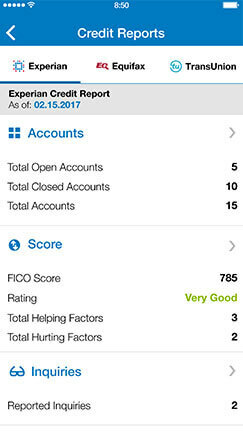 Get notified when new credit accounts, hard inquiries, public records, fraud alerts, and personal information updates are detected on your Credit Report. 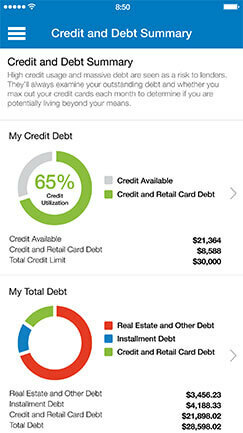 With our free iPhone app, you can see your credit information in an easy-to-explore format. Your credit and debt summary includes how much you are spending, how much debt you have, what your credit limits are, and how it all affects your credit utilization. 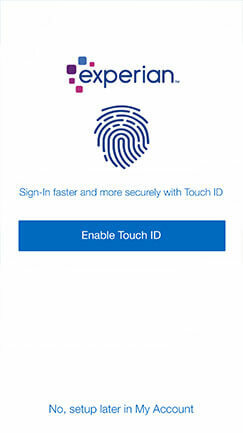 You can access your Credit Report quickly and securely via the Experian app using just your fingerprint.